There are many different ways that a dentist can enhance a patient's smile. Once especially versatile and helpful option is the use of porcelain veneers. The are a great tool for smile makeover treatments and enhancing overall dental appearance. That said, they are not inexpensive and may place a financial burden on households. When you meet with a cosmetic dentist, you can go over various issues related to porcelain veneer treatment, including financial matters. We'd like to take a few moments right now to go over the basics of porcelain veneers pricing so that you have some basic facts. 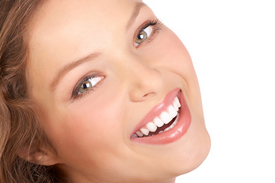 The average cost of porcelain veneers treatment can vary greatly based on a number of factors. For this reason, we don't feel that providing an average national cost or even a general price range will communicate all o the concerns that go into porcelain veneers pricing. Rest assured that when you visit our practice for a consultation, we will break down the total cost of treatment in full. It's very rare the dental insurance will cover the cost of porcelain veneers treatment since it's considered a cosmetic/elective procedure. For that reason, we are pleased to offer financing options for our various smile makeover treatments. It's helpful to think of dental financing in terms of credit cards. A trusted third-party lender pays for the total cost of dental treatment upfront. The patient is then responsible for paying back the lender on a monthly basis. A reasonable interest rate will apply to the total cost of treatment. By having a fixed payment amount and schedule, patients are able to budget accordingly. Sometimes porcelain veneers may not be the best option for care, which is why we offer a whole host of cosmetic dentistry treatments to help meet the needs of patients. Teeth whitening, dental bonding, and other forms of aesthetic care may give patients the results they've been looking for. We'll be more than happy to go over alternative therapies in greater detail during your visit to the practice. If you would like to learn more about porcelain veneers and your many other options for achieving a comprehensive smile makeover, be sure to contact our Windsor cosmetic and restorative dentistry center today. The entire team here looks forward to meeting you in person and helping you achieve the best possible dental health and the most appealing smile possible.